When I was a little girl in Pittsburgh, I always looked forward to the city's Christmas festivities, heralded by the "Light-Up Night," where the whole city would turn their lights on and the view from hills surrounding the city would be magnificent. During that night, shops would remain open later than usual and the Christmas shopping season would officially begin. I also enjoyed the decorated shop windows of the old, big department stores--a feast for the eyes. And you never knew when Santa would show up. It was magic. Now that I live in Indigo Gap, N.C., there's Christmas magic of another kind. Our Thanksgiving was just the way I like it—quiet and small. A gathering of close friends and family. On the Holiday horizon is the lighting of the town's Christmas tree and a concert by the school children. I singed on for a neighborhood cookie exchange that I'm really looking forward to. It's the first time I've done something like this. Our business, Kildare House Craft Retreat, will be holding a Holiday Open House. We'll be serving hot apple cider and homemade donuts from Ruby's mother's recipe. Should be fun. So much to look forward to. What are your plans for the Holidays? 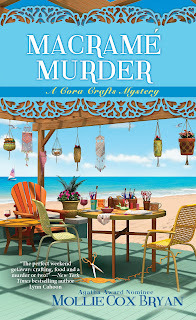 Please leave a comment to win a copy of "Macrame Murder." I am so excited for this Christmas. We will have some little ones joining us. They do make Christmas. Everyone will be at my house this year. This year it will just be my immediate family and I have to say, I am really looking forward to a relaxed day. We will spend our holidays with our furry little ones---and spoil them with some more presents. Our holidays are small and special, we don't have a big family and just a few close friends visit because most of them have big families they are busy with. Thanksgiving was great, a merging of two families for the first of many holidays to come...my brother-in-law and his fiance (and her family). Everything went off without a hitch and now we're on to Christmas. I have a booth at a local craft fair this Saturday and after that things slow down for us and that's when I really get to enjoy the season. Cookies, ice skating, crafts, decorating and anything else we can come up with. I think a winter trip to the zoo is in order this year too. Merry Christmas to everyone!!! Unfortunately, I'm apartment hunting & scheduled to work Christmas Day for the third year in a row, so I'll just cuddle with the fur kids. A simple and quiet Christmas, with an afternoon dinner at one of my daughters. My favorite time at Christmas is the Christmas Cookie baking!! Love it! I made cookies with my children, now, I make them with grandchildren. Nothing more special to me! We will have a quiet Christmas at home. One of my daughters will be away at her boyfriends parents home. But it will be a nice Christmas anyway. I'm travelling cross country to multiple family members' houses for multiple Christmas visits. Tiring, but fun. Spending Christmas with family - it's the only time we're all together. I don't have many plans. At work the patients in my card making group are making cards to give to their peers so they can send them to family and friends. I need to clear room for my Christmas tree and get that. My outside lights have been on since the day after Thanksgiving and soon I'll have to sort the presents I've bought and ship them out! I'm hoping to catch up with all of my family at some stage. 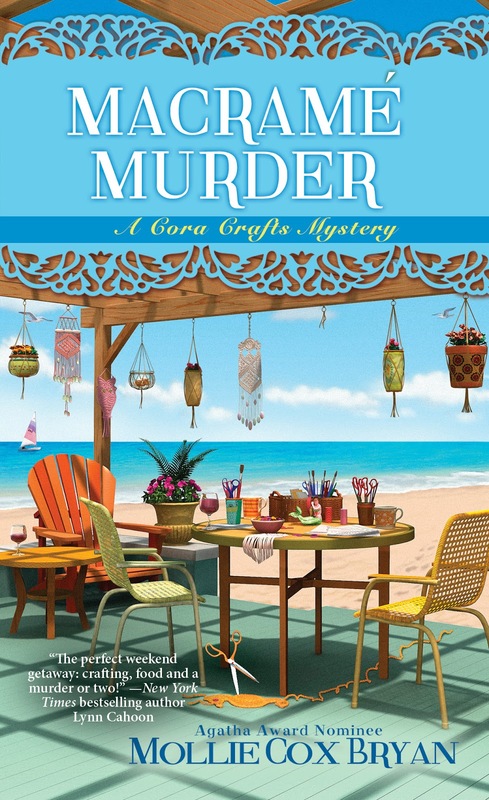 Thanks for the chance to win a copy of "Macrame Murder." We are having a quiet Christmas this year. Usually we do a family reunion this time of year. We all make treats and visit the nursing homes and shut-ins. This year it is just the immediate family and we will be doing only a couple of the homes & shut-ins. We plan to enjoy Christmas through the eyes of our little Grands...what joy! CONTEST CLOSED! Amanda Wilcox is my winner!